0.65 MB, 1920x1080px, 4.5 secs. 9.79 MB, 1920x1080px, 4.4 secs. 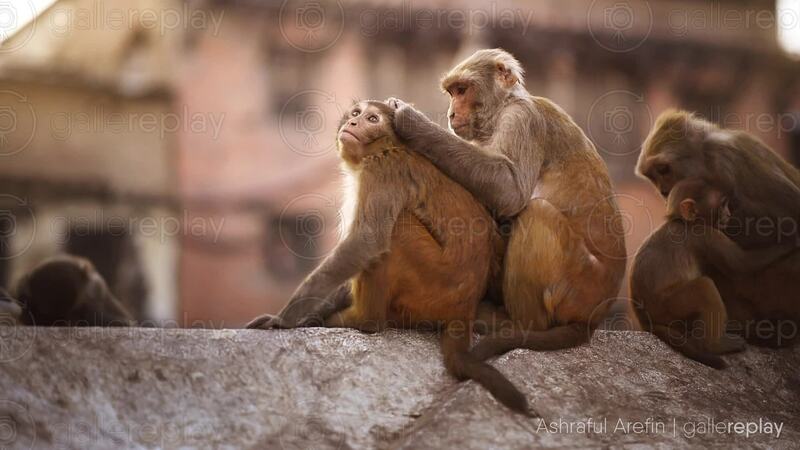 A group of monkeys sitting on a stone wall, one monkey grooming another.